In 2017, the Netherlands is celebrating the De Stijl, the pared-down artistic movement based around straight lines and primary colours. De Stijl artists turned their hands to painting and sculpture, architecture, industrial design, typography and even to literature and music. In a tree-lined residential street in the outskirts of Utrecht, a row of ordinary terraced houses is abruptly interrupted by an architectural anomaly. 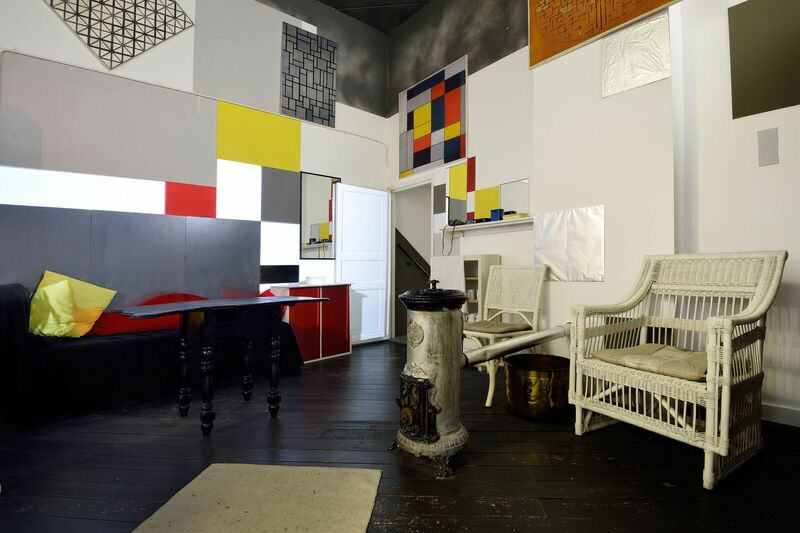 The Rietveld Schröder House, with its bold rectangular planes of black, white and primary colours, is a striking monument to the utopian Dutch movement De Stijl, founded by Piet Mondriaan and Theo van Doesburg in 1917. It is one of a collection of sites, exhibitions and events which make up a nationwide celebration of the genre’s centenary: 100 Years of De Stijl – Mondrian to Dutch Design. Also known as neoplasticism, the proponents of the De Stijl movement – mainly artists and architects – advocated pure abstraction by reducing their work to vertical and horizontal lines, using only black, white and primary colours. De Stijl is visible in a range of media, including product design, fine art and architecture. 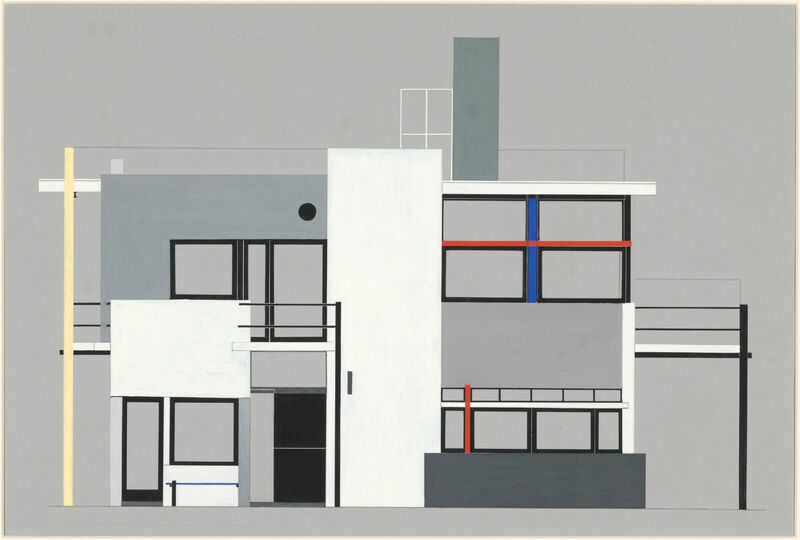 It lasted around 14 years and affirmed the Netherlands’ important place in European modernism. Museums are taking part in the centenary celebrations throughout the Netherlands, from Leeuwarden to Bergeijk, home to Gerrit Rietveld’s De Ploeg fabric and carpet factory. Utrecht (the birthplace of Rietveld, Bart van der Leck and Van Doesburg,) and Amersfoort (the birthplace of Mondriaan) are the main centres of activity and have a separate website devoted to them. Here is a round-up of some of the highlights across the country. Reopening in March, the renovated Mondriaanhuis offers a curated journey through Mondrian’s life, influences, and best-loved works. For the full Mondrian experience, sign up for In the Footsteps of Mondrian, an all-day walking tour of Amersfoort, comprising a visit to the museum, a two-course lunch, an optional boat tour (from April), and even a slice of Mondriaan cake. Amsterdam’s Stedelijk Museum is devoting six galleries to an exhibition on De Stijl and its relationship with other important works in the museum. The exhibition includes compositions by Mondriaan and Van Doesburg, and a rare example of an authentic Rietveld interior. There is a family trail with a bilingual workbook for children. Museum D8888 is curating a series of four exhibitions on different aspects of De Stijl including its typography, expressionism, and constructivism. Once you’ve visited the museum, take a short stroll to the Torenstraat and visit the recently-renovated Van Doesburg-Rinsema House whose architecture and interior define the period. (Interior opens June 1 2017). The Gemeente Museum, home to the largest Mondriaan collection in the world, is hosting a year-long exhibition on Mondriaan, as well as a series of special exhibitions. They kick off on February 11 with a pictorial history of the relationship between Mondriaan and Bart van der Leck. The Museum Helmond’s exhibition Working for a Better World, focuses on De Stijl as an art form for the working people during the hardship of the inter-war period. It features works by Alma, Van der Leck, Loeber, Van Hell and others. Leiden is the birthplace of Van Doesburg’s magazine De Stijl, which launched the movement, and is organising a huge range of activities to mark the centenary. Festivities begin with music from the period performed by violinist Maria Milstein in a three-day concert from January 27-29 at the Leidse Schouwburg Stadtsgehoorzaal. The Centraal Museum houses the largest Rietveld collection in the world, including his iconic Red Blue Chair and Zig Zag Chair. 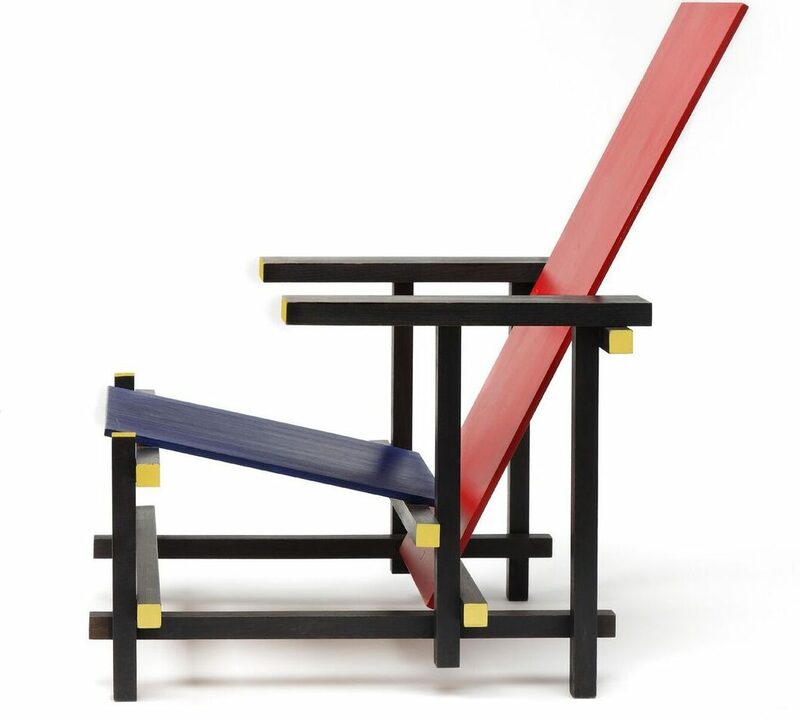 Rietveld’s Masterpiece; Long Live De Stijl showcases several early Rietveld pieces alongside works by fellow De Stijl luminaries Van der Leck, van Doesburg and van Leusden. For a more energetic De Stijl experience, jump on your bike and join a group tour discovering Rietveld’s architectural jewels hidden throughout the city. De Stijl in Utrecht: Rietveld’s Architecture is led by VVV city guides and includes, among other famous De Stijl landmarks, the celebrated Rietveld Schröderhuis, a listed UNESCO heritage site. The Villa Mondriaan, Mondrian’s childhood home, houses a permanent collection of early Mondriaan and a history of his family life in Wintersdijk. On March 3, the Figuration in Style exhibition opens, focusing on the Hungarian painter Vilmos Huszár, who emigrated to the Netherlands in his youth and became a key player in the De Stijl movement. More information about Mondrian to Dutch Design can be found on the special website.